The various tender crops planted in Air-Pot® Tender Crop containers have had a few months of typically cool Scottish summer weather now. The tomatoes and baby corn hit the roof and have yielded some early pickings. My Air-Pot tomato plants are healthier with bigger fruits and the baby corn are producing excellent little cobs. Generally growers only expect 4-6 cobs per plant so I’ll be interested to see how many I get in an Air-Pot®. The automatic watering system has been crucial to the success of this greenhouse and has worked brilliantly. I highly recommend the system from Tank Fed Irrigation http://www.tankfedirrigation.com The slow rate of watering works perfectly with the Air-Pot containers. I was recently away for over a week and every plant was well watered. 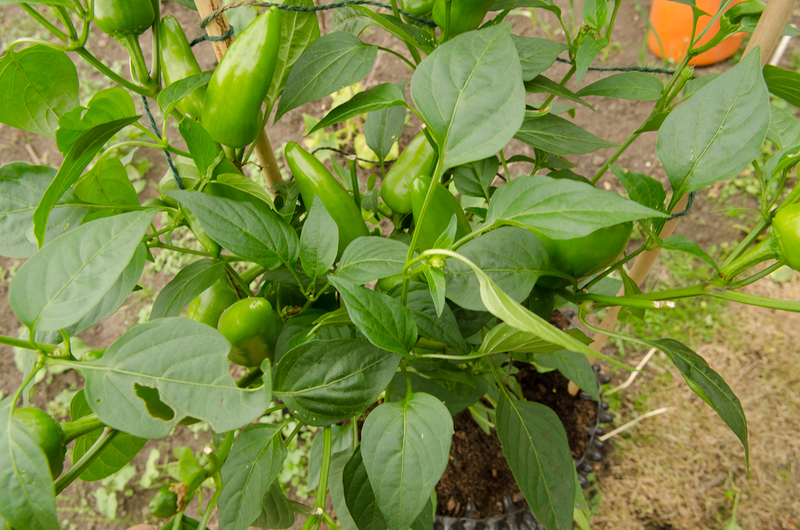 Another outstanding performer has been the chilli plants in 10 litre Tender Crop containers. They are along the south-facing glass and have formed dense bushes which are dripping with fruit. My chillies in 3 litre containers are paltry by comparison, as are some in another greenhouse border. The bigger container seems to give optimum amount of root run and good aeration and drainage. The 10 litre grown plants are still actively growing and flowering while the 3 litre plants are limiting themselves to ripening a few fruits. I have installed the same drip system in the back garden. It is not timer controlled but has still made watering much simpler, especially for those tending my plants while I was away. 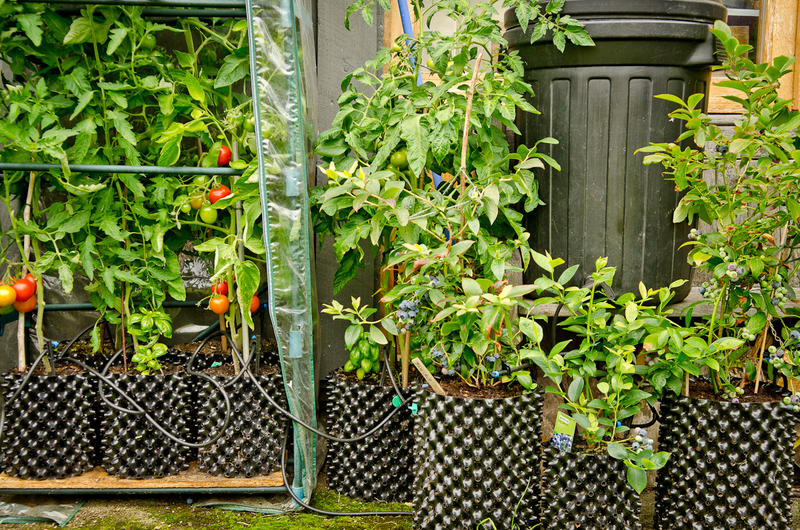 A plastic dustbin acts as a reservoir, a tap connected to the irrigation line feeds water to about a dozen blueberry bushes and tomato plants, all in Air-Pot® containers. Even tomato plants in rather undersized 3 litre pots have done well, I think these would have dried out with normal watering. A kitchen timer is advisable as a reminder when it needs to be turned off. I have forgotten a couple of times which wasted some water but had no ill effects. It does not seem to be possible to over water an Air-Pot, the drainage is so good that once the compost is saturated excess water just runs out. My big concern about switching to container growing was always the problem of watering, so now that seems to be solved I am a convert.